Devotion is the urge to merge with the divine! O my beloved, quench this thirst so I may merge with You and be One and Whole! There is none other than You in all creation, this "I" will merge with the true me then roam free and high! Till then I sing in a trance of love…Till then I dance in a play of love. The angels envy me; I am here in your company, and experience the colors of love in ecstasy! Worshiping the divine is a form of devotion, and devotion is the nectar of life. In fact devotion, or love, is our true essence, and everything in life is an expression of our love. So I need to realize this great love within me. What is the way back home? Is it through devotion and worship? Like sweetness is to sugar, devotion is to me. The only reason I in this human body is to experience devotion. Liberation I can gain even after I leave the body. Nothing exists in this world for me except for my beloved Krishna. The moment I remember Him, His presence is with me. My yearning becomes devotion, my conversations become poetry, our union becomes bliss. Those who have experienced will understand; for those who haven't: I can't explain! Fortunate are those who in human birth have felt this devotion for the Lord. The most brilliant expression of consciousness is devotion. God created a mirror to see His love, and the reflection was a beautiful maiden brimming with devotion. 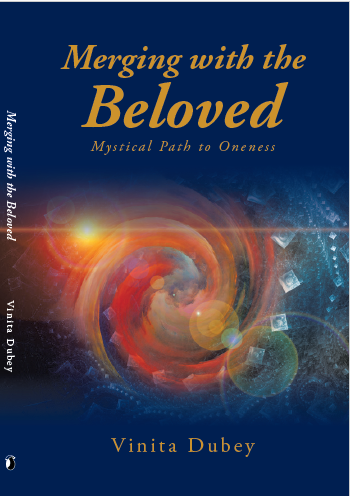 In this divine love God embedded the highest wisdom, an essence of Himself. Devotion is an intense longing for the beloved. Devotion is an intoxication with the nectar of divine love, the cup of the heart overflowing with bliss. Without the juice of devotion, all knowledge, all sadhana (spiritual practices) are dead and dry like sawdust. A perfect relationship has an equal balance of both love and respect. Devotion is that perfect relationship with the divine, it is the most intimate with the deepest reverence. There are different stages a devotee evolves through. First there is a need for a form, as the heart and mind are filled only in Him, and the devotee sees the divine in all forms and everywhere. The devotee then sees the divine as the essence behind all of creation and worships Him as the formless. As the devotee merges and dissolves she becomes one with the divine. This is the ultimate knowledge, and at the climax of devotion there is only this ultimate truth of Oneness. Devotion is unconditional love between me and the divine, and at the peak of devotion, the merging into the divine, I become unconditional love, bliss.